General Convention has concluded for another triennium. The sky has not fallen. For as long as the link endures (I’m told at least Labor Day?) the text of this resolution as passed can be found here. After that point this link will no longer work and there ought to be a new one from the Episcopal Archives folks. Creates a new Task Force (a thing that exists in a different canonical space from the SCLM) on Liturgical and Prayer Book Revision. The SCLM will still exist; this will also exist alongside it. Exactly how they will relate to one another is unclear at the present time. The TFLPBR (pronounced Tiffle-Pibber) is supposed to report to GC80 (held in Baltimore!! Woohoo—church nerd party at my house!!). But—here’s the thing: the resolution doesn’t say what it is to report on… It is not tasked with “presenting a new prayer book” and there are no timelines for anything like that. General Convention has given the TFLPBR a very open-ended charge. The emphasis is on a dynamic process of watching local organic revision that contains several broadly construed themes: fidelity to our historic rites, a continued emphasis on Eucharist and Baptism, loving reconciliation, creation care, the riches of our collective multi-dimensional diversity, inclusive and expansive language and imagery for humanity and divinity, and emerging technology. Wow, that’s a lot of stuff… We’re casting the net broadly and not very specifically. The intention of the resolution reads to me like we are not asking the the TFLPBR to be drafting things as much as we are asking them to watch the local level, identify good stuff/best practices, and to share those perhaps with an eye to coming up with things based on them at a later date. The 1979 prayer book has been “memorialized” and the TFLPBR has been asked to draw up new constitutions and canons to provide legislative space for the identification and dissemination of liturgical creativity. 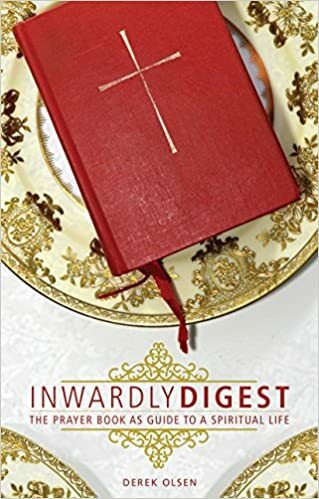 So—the current books stay in the pews; more books are appear there—or maybe things will start appearing in your bulletins or in downloads on your smart devices. The work of drafting and revising, then, is not actually in the hands of the TFLPBR—at least not at this point. Instead, it is supposed to happen at the local level. This could become chaos. In theory, the choke-point to prevent it from dissolving into a liturgical free-for-all in which each go their own way is the bishop: the bishop will engage the congregations and expansive, experimental efforts will be collected—and, one supposes, assessed?—at the local level for broader dissemination to the TFLPBR and the Church. What the heck does all of this mean? If you are interested in classically grounded, theologically astute, inclusive, truly Anglican liturgies coming out of this process, then it seems to me your two best moves are these: 1) talk to your bishop what experimentation will look like in your diocese, and 2) volunteer to be part of the liturgical commission. The regnant assumption is that all experimentation will be tilted in a free-form, free-church-ish, breezy kind of direction. And perhaps it will be—if people who think otherwise don’t step up! That’s exactly why I drafted this liturgy when permissions to use Rite III were passed by the previous General Convention: to remind you that all revision doesn’t have to be like that. Don’t let yourself be locked into these mental frameworks! Instead, consider what it means to do inclusive/expansive revision that truly is grounded in the historical liturgies around our sacraments. This entry was posted in Anglican, Liturgy and tagged Prayer Book Revision on July 14, 2018 by Derek A. Olsen. Derek, Thanks for your summary. As always, we are grateful for this work that you do. One thing, as a solitary Episcopalian Religious who has an obligation to at least a four-fold daily office, I have a strong interest in the daily office. I am also a volunteer church organist for an Anglo-Catholic Episcopal church in Arizona and started and continue to work with our Gregorian chant choir. I have been working on-off on some of the aspects of the office, using at present Howard Galley’s PBO but with hymnody and some elements from the monastic office (Antiphonale Monasticum) including an attempt to recover a full cycle of appropriate office hymns (where our 1982 Hymnal provides really only Sunday office hymns for the most part). I have often thought that there are many doing such work, and a pooled effort would avoid each of us “reinventing the wheel.” I am intrigued about your comment on the Anglican Breviary which I have used but personally have found too lengthy for personal use as I have a “day job” as a neurologist. I am interested what sort of “Anglican Breviary” work you are doing that you mention. Is this some sort of re-do of the “thee/thy/thou” Anglican Breviary or something new? I’m digitizing the classical one, but with an eye to the construction of a present-day version down the road. Frankly, Derek, I don’t think I get to “step up”. My rector doesn’t have to listen to me, and at the next level up I see myself getting patted on the head for being (a) old, (b) male, and most importantly (c) out of step with the appropriate feminist doctrine every time I raise a theological issue. And anyway, unless we change the way these things get dealt with at GC we’re just as likely to to get the kind of preemptive strike that happened this time, where we got presented with a fait accompli rite which there was not time to make more than the most minor tweaks to. And as I said elsewhere, at this point we don’t have to have revision; it has already happened. We have a set of new, problematic-to-unacceptable rites whose authorization already doesn’t expire—not that there are that many rectors who feel that bound to the BCP text or rubrics anyway.